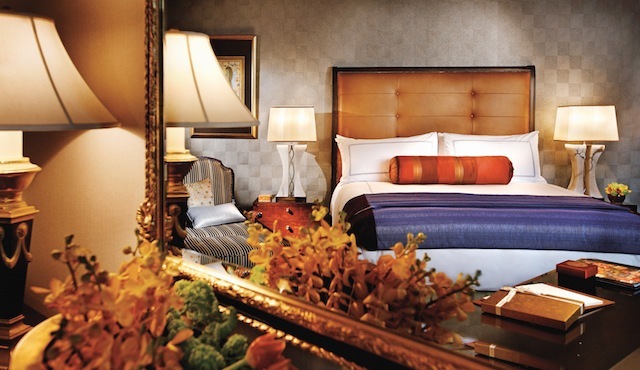 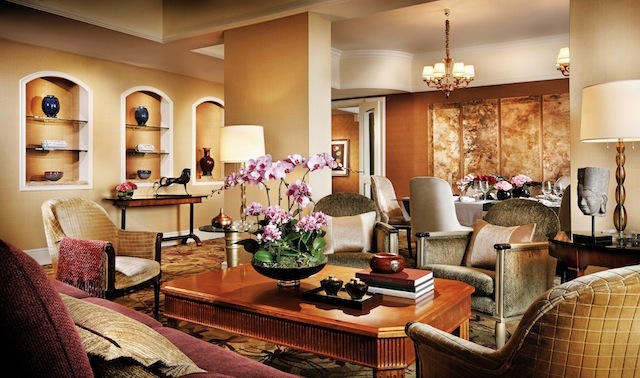 Luxurious guest suites at the Four Seasons Hotel Singapore offer elegant furnishings, original Asian artwork and sweeping views through picture windows. 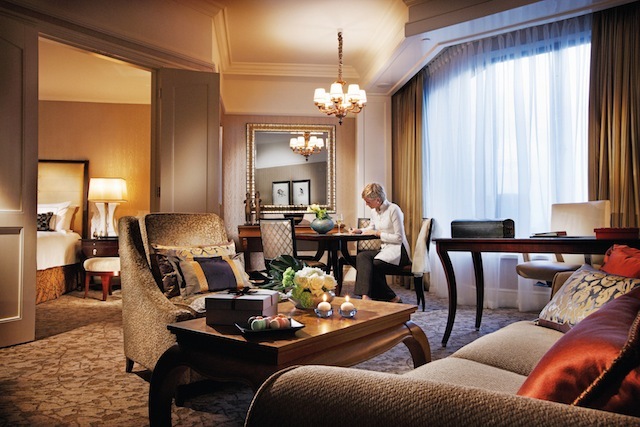 Contemporary and refined, each five-star hotel suite combines soothingly rich earth tones, inviting appointments and 21st-century conveniences along Singapore’s Orchard Boulevard. 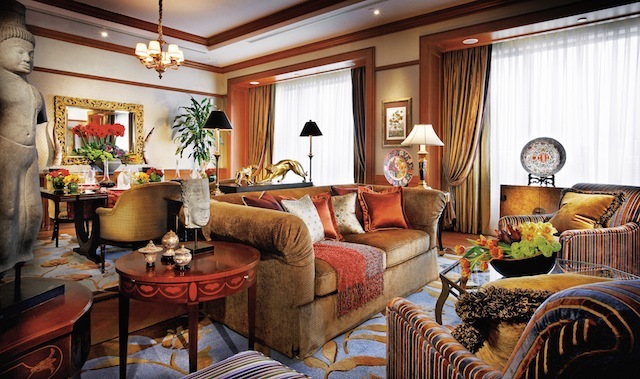 High ceilings, expansive bay windows allowing for natural daylight and oversized living areas create ideal settings for entertaining guests or informal meetings in the Four Seasons Executive Suite and One Bedroom Suite. 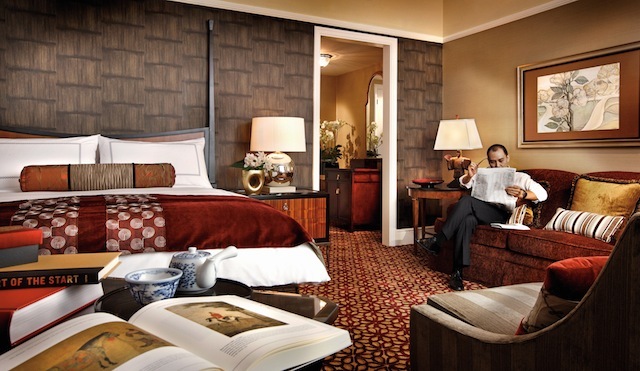 And every suite at this Four Seasons offer two sumptuous restrooms — a full marble bathroom, plus a convenient powder room for visitors. 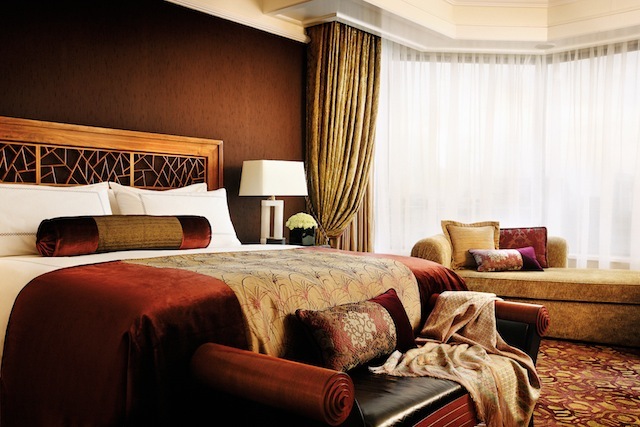 Their spacious 19th-floor Ambassador and Governor suites, and 18th-floor Royal suites are ideal for both business and leisure travelers. 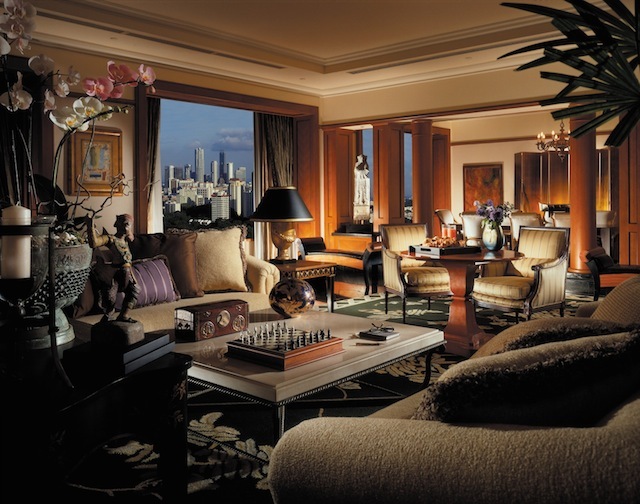 Large windows and abundant light complement timeless luxury accents. 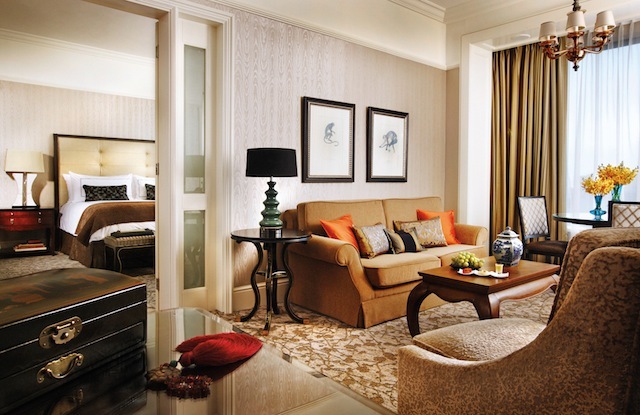 Perched high above the city, the colossal Presidential Suite features an elegant residential ambience and can be reserved as a one, two or three-bedroom suite.